Looking for comfort anytime anywhere? Well the Huggle Me pillows might just be for you! 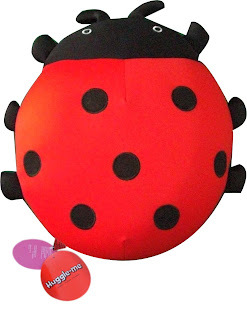 Logan has been lucky enough to be sent a very cute Huggle Me red ladybird pillow to test and review. Here is what we thought. First impression were literally "Awwww how sweet!" The quite big red ladybird is very cute and a lot bigger than I ever expected it to be but then again it does have to hold your head so understandable. It even comes with it's own little draw string travel bag which is very well thought out and a big thumbs up go to the company for thinking of this. I'll let Huggle Me tell you a little bit about their brilliant travel pillows: "Your truly huggle and travel companion. A pillow that can go where you go! They can be used for the beach, whilst camping, picnics, sailing, relaxing in front of telly , playing computer games or when sleep. The huggleme pillows are great for journeys by car, train, plane, and boat. Made of soft, durable stretch fabric, containing thousands of ultra micro-polystyrene beads for superior comfort. Huggleme pillows are easy care. Hypoallergenic and fully machine washable on 30 degrees delicate cycle." As Huggle Me have said a very versitle pillow that can be used anywhere and it really can. It's small enough to be easily carried with you as it's light weight but big enough to take the weight of your head and support it with ease. The Huggle Me ladybird is very well made, all stitching is neat and tidy which shows care has been taken to make this a quality product. It's comfy to rest on and to be honest I've been using it more than Logan in the car and on the sofa! Logan does like it but because he's still young I think he looks at it as more of a toy so probably best for children 3 years and up who'll understand the pillows purpose better. There are loads of different styles of Huggle Me pillows to choose from. They have Butterflies, Dogs, Cats, Flowers, Footballs and even Dolphins! You don't just have to choose an animals shape either, they have donuts or U-shaped pillows to choose from as well. 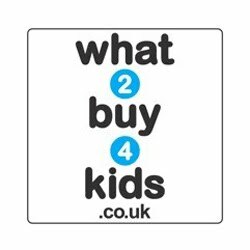 The red ladybird we received can be bought from Huggle Me's own online shop or from some independant retailers RRP £12.99. Overall these are brilliant travel pillows and very very comfy. Easy to use, well made and so cute they'll soon become a regular on trips out and about. Price is a little high for my liking but for amount of use you will get from these simply using it in your car will be well worth it. 2 comments on "Review: Huggle Me Pillows"
Need assistance selecting a bed pillow? Recognize what your choices are will help you settle on an educated choice to help you pick the right pillow for you.